The G Series available from Eaton Hydraulics Group Australasia is one of the most comprehensive ranges of standard large bore tie rod cylinders available today. Branded as Vickers VG Series and Hydro-line HG Series, Eaton’s G Series large bore tie rod cylinders offer standard bore sizes from 254mm to 762mm and stroke lengths up to 7620mm in addition to a full range of best-in-class options to customise performance. 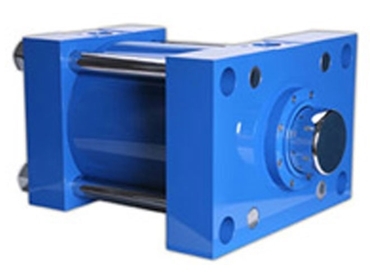 Eaton’s G Series large bore tie rod cylinders find use in stationary applications in manufacturing and processing segments. Application areas include testing/simulation, hydraulic presses, valve/gate actuation, marine, civil engineering and primary metals among others.